Our walleye bite continues to be fabulous! 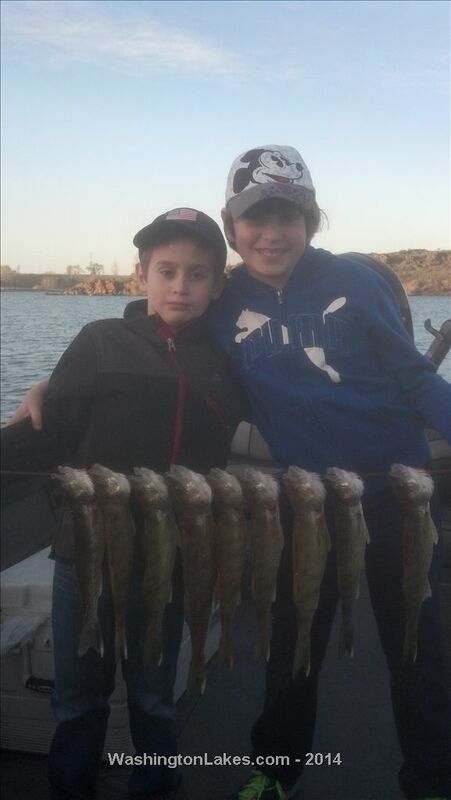 Fished Wed 4-9 and boated a 16 fish limit kept 6 for a birthday fish fry. Fished all morning on water I haven't tried all season. Boated 21 on Thursday morning 4-10 hitting a few of the places that produced Wednesday. Friday caught 21 walleye between 14 and 20" and a trout having to fish part of the day in more protected water with the high winds. 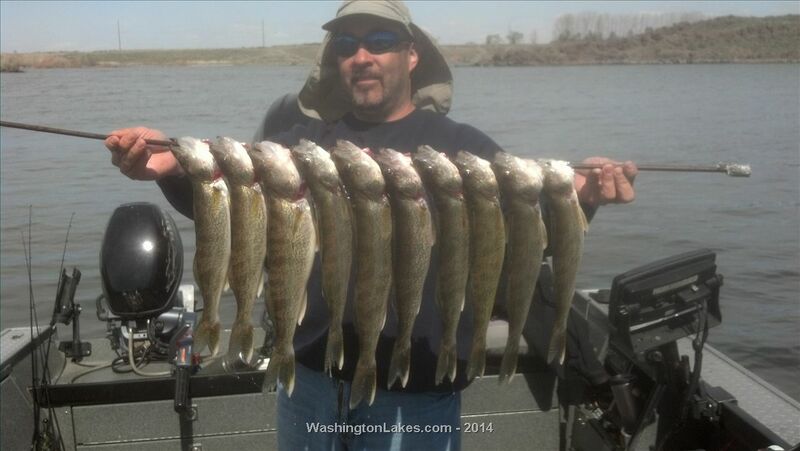 Saturday caught 11 walleye in two hours all released. Sunday morning fished with buddies in their boat and boated 12 including a 23+". A few bigger fish starting to show up. Monday I took the boat for a ride up crab creek on a scouting mission, one fish on lost at boat and one other bite. Lind coulee continues to be the spot producing most of the fish but that should change as the spawn comes to an end. Nightcrawlers on spinners and bottom bouncers are the rig or choice. I have scattered openings including April 29 and 30 with my annual pretounament special full day trips for half day rates. The fishing is good but you can't catch em in your living room, get here and reel em in! Nice eating there on those sticks. Well done.